Welcome to this blog about Adesh Tyagi and his work at Nexent Ventures, Nexent Capital Management, as well at Tryfacta, Inc., Systems America, Inc. and C7 Partners. Mr. Adesh Tyagi joined Tryfacta, Inc. in February 2017 as President of the company he founded. Mr. Tyagi has more than 27 years of experience in the IT services and solutions industry, and he is an expert in Cloud Computing, Big Data, Analytics, and Mobility solutions. He has worked on various industry sectors on operations, merchant banking, investment banking and private equity for both large and small/midmarket capitalization companies. Adesh Tyagi started in business when he was very young. He came to the United States in 1991 as an exclusive Mahatma Gandhi Fellow and studied in an MBA program, which is also the time when he founded his first company. He sold the company to McDonald-Douglas in 1992 (now part of Boeing) and then entered the post-graduate program at Wharton where he founded a management consultant company in the energy sector. The company quickly grew and had many notable clients, including Mobile Oil. Adesh Tyagi eventually merged the company with a UK company and sold it to Booz Allen Hamilton. In 1994, Adesh Tyagi founded Tryfacta, Inc. He led the company through significant growth in the technology sector, and the company became a nationally recognized SAP premier National technology and consulting partner. Mr. Tyagi was on the forefront of many new technologies and spun out many web-based companies, including Unwired X, a mobile content delivery technology company that offered the technology that delivered video, audio, and web content to third generation mobile phones. Under Mr. Tyagi’s leadership at CEO, Systems America pioneered one of the first Indian offshore operations for a major U.S. Corporation and would later attract many other significant corporate clients. In addition to Systems America, Adesh Tyagi founded Nexent Ventures, a Private Equity and Advisory firm. In mid-2018, Adesh Tyagi was named Managing Partner at Nexent Ventures and Nexent Capital Management, which is Artificial Intelligence and Blockchain-focused fund. Under Nexent, Mr. Tyagi is helping as a board member to lead C7 Partners which also recently launched. This company aims to help businesses pick the right operating platform and pull together solutions from Cloud computing, artificial intelligence, big data and more. As the Managing Partner at Nexus Ventures, Mr. Tyagi led private and public financings in excess of $1.6 billion. 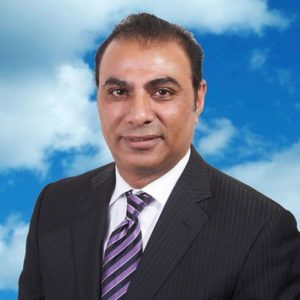 Adesh Tyagi has leveraged his experience and education to build partnerships with various government agencies, businesses, and bureaucrats for large-scale energy infrastructure projects in India and the United States. Over the years, Adesh Tyagi has received numerous awards and distinctions for his work and successes. This blog will focus on Mr. Adesh Tyagi’s work at Systems America, Inc., and how he is helping drive a new wave of IT technologies and solutions to the global business community.